← ….. Petal ….. the other half …..
….. an awesome subject to paint ! … its been a challenge. My favourite elements are the green Police Box, Taxi whooshing round the corner, statue of Queen Victoria, yellow Tour de France sunflowers, and … by far … Sprocket the Whippet ! ….. 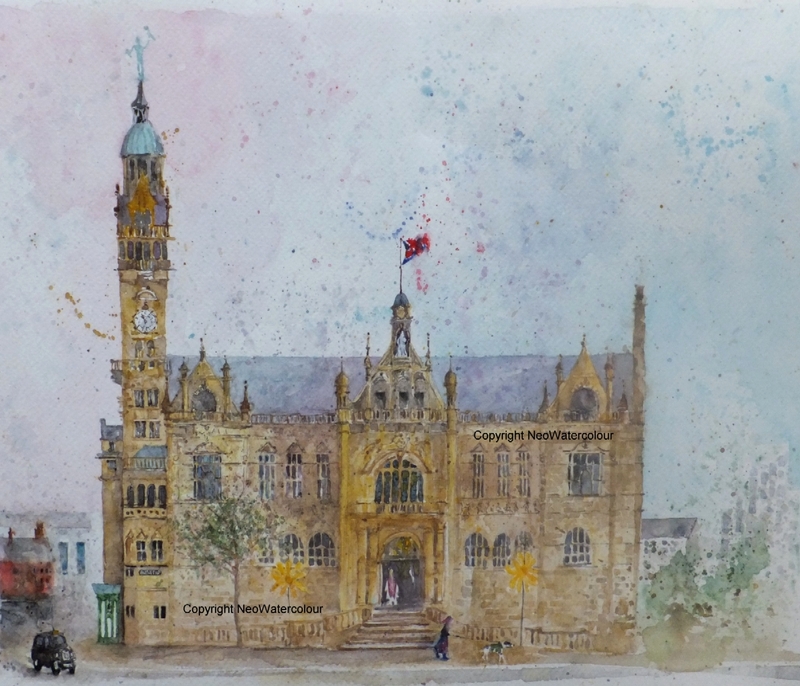 This entry was posted in Art, Sheffield, Sheffield - watercolours and tagged Black Cab, City Council, Grand Depart, Peace Gardens, Pinstone Street, Queen Victoria, Sheffield, Tardis, Taxi, Tour De France, Town Hall, Weddings, Whippet, Yorkshire. Bookmark the permalink. 12 Responses to ….. at the ….. Town Hall …..